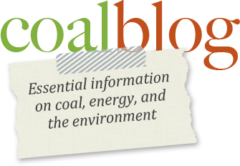 The just released 2009 National Coal Council Report, “LOW-CARBON COAL: MEETING U.S. ENERGY, EMPLOYMENT AND CO2 EMISSION GOALS WITH 21ST CENTURY TECHNOLOGIES” is a treasure trove of information and updates on the state of the North American Coal Industry and coal-based energy. The study reviews essential low-carbon energy options like CCS and how they can be (and are being) implemented. Also considered are costs and timelines for commercial development of CCS, how existing generation assets can be retrofitted with CCS and other efficiency improving upgrades, specific technologies for the capture and storage of CO2, as well as coal beneficiation, and underground coal gasification . The study also tackles the legal and regulatory issues that must be addressed to ensure CCS can move forward and then considers the role of the United States as a technology leader in the development and deployment of clean coal technologies. You can learn more about this report on the National Coal Council website – or click here to download the pdf version of the full report.